LP (ST) Astor. PLP-1097. 1962. (m). 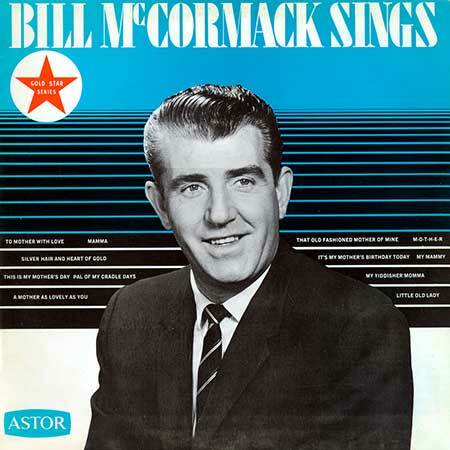 "BILL McCORMACK SINGS". Vocal: Bill McCormack. Orchestra Arranged and Conducted by Eric Jupp. Galaxy. GG 004. (m). 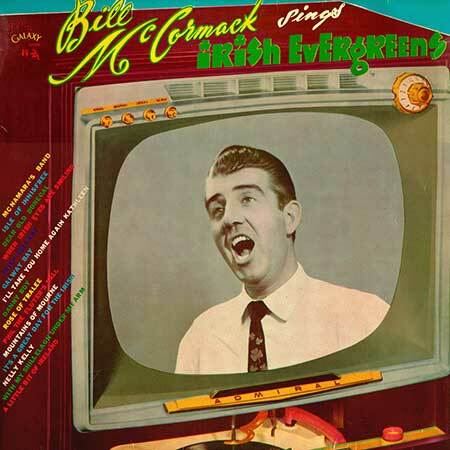 "BILL McCORMACK SINGS IRISH EVERGREENS". Vocal: Bill McCormack. With The Planet Studio Orchestra. Directed by Bruce Clarke. Direction: Bob King Crawford. Sound: Marcus Herman. Orchestrations: Bruce Clarke. R.I.A.A. Equalisation Marco NaturalSound. LP (OP) Astor. GG-476. (m). 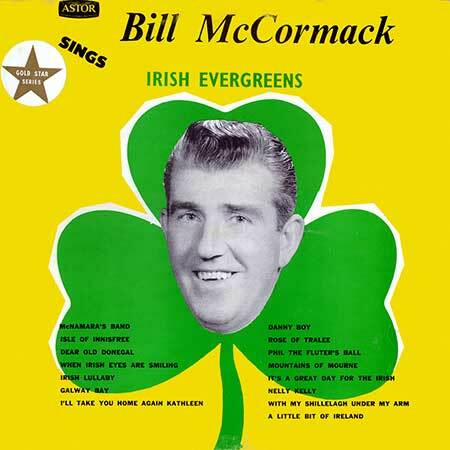 "BILL McCORMACK SINGS IRISH EVERGREENS". Vocal: Bill McCormack. Orchestra Directed by Bruce Clark. LP (OP) W&G. WG-25/2640. (m). 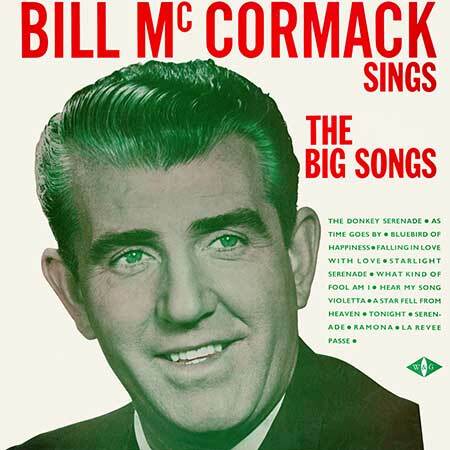 "BILL McCORMACK SINGS THE BIG SONGS". Vocal: Bill McCormack. Arranged and Conducted by Les Patching. LP (OP) W&G. WG-25/5002. 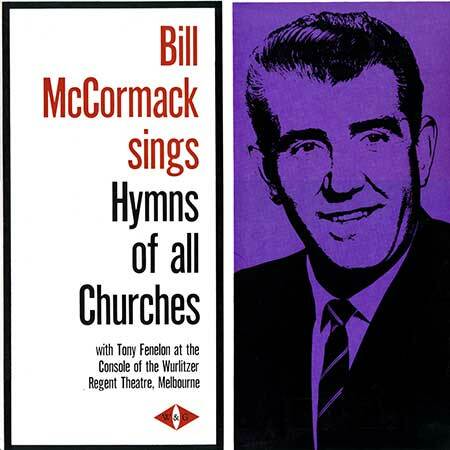 (m) "BILL McCORMACK SINGS HYMNS OF ALL CHURCHES". Vocal: Bill McCormack. With Tony Fenelon at the console of the Wurlitzer Regent Theatre, Melbourne. LP (OP) Astor. AGS 1012. 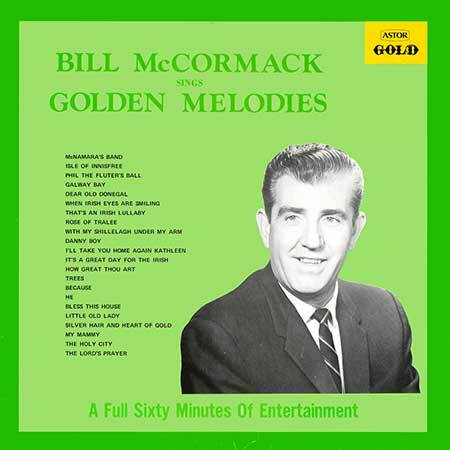 "BILL McCORMACK SINGS GOLDEN MELODIES". With Stanfield Holiday at the organ and the De La Salle Boys' Choir. Orchestra conducted by Eric Jupp. Also with Bruce Clarke. LP (OP) W&G. WG.25/S/5508. "IRISH FAVOURITES". Vocal: Bill McCormack. Arranged and Conducted by Les Patching. Produced by Jack Varney and recorded by Alf Bean at the W & G Sound Studios in Melbourne. Lowrey Organ courtesy Brash's Melbourne. LP (OP) W&G. WG.25/S/5579. 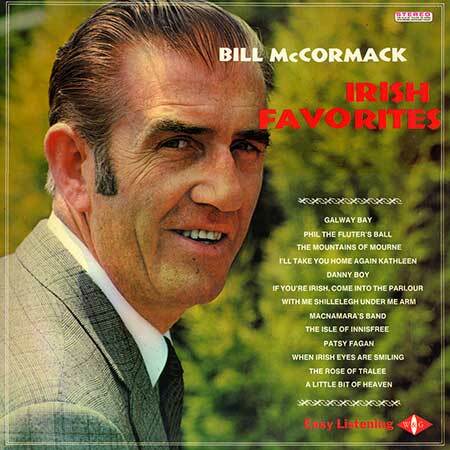 "THERE'S A LITTLE BIT OF IRISH IN EVERBODY'S HEART - BILL McCORMACK". 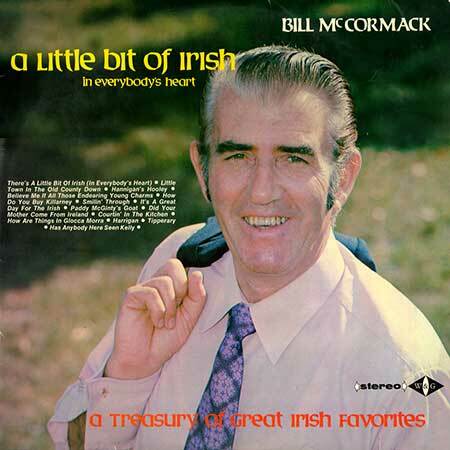 (Sleeve - "A LITTLE BIT OF IRISH - BILL McCORMACK"). Vocal: Bill McCormack. Arranged and Conducted by Les Patching. Produced by Jack Varney. Recorded and mixed by Alf Bean. LP (OP) W&G. WG-25/S/5583. 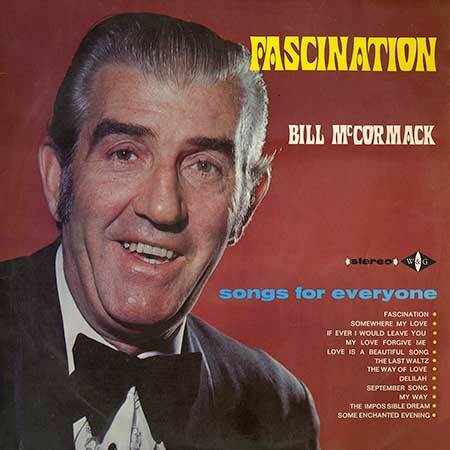 "FASCINATION - BILL McCORMACK". Vocal: Bill McCormack. Arranged and Conducted by Les Patching. Produced by Jack Varney. Recorded and mixed by Alf Bean and John Rowland. LP (OP) W&G. WG-45/TVS/5673. 1976. 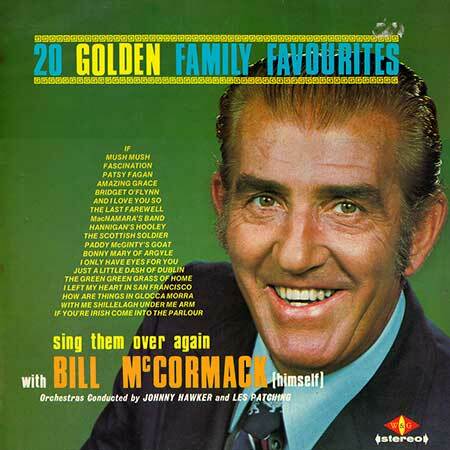 "20 GOLDEN FAMILY FAVOURITES - BILL McCORMACK". Vocal: Bill McCormack. Orchestras Conducted by Johnny Hawker and Les Patching. Produced by Jack Varney at the W & G Sound Studios, Melbourne. Recording Enginner: Alf Bean and Harry Benholtz.